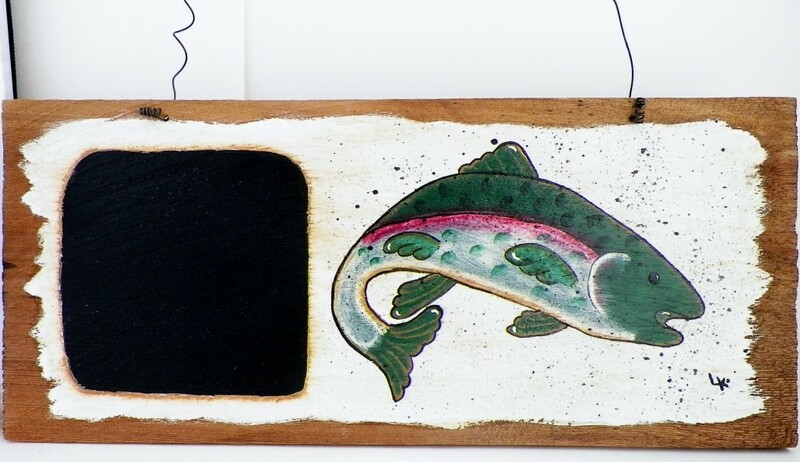 This unique handcrafted chalk board would make a great gift for the fishermen in your family. 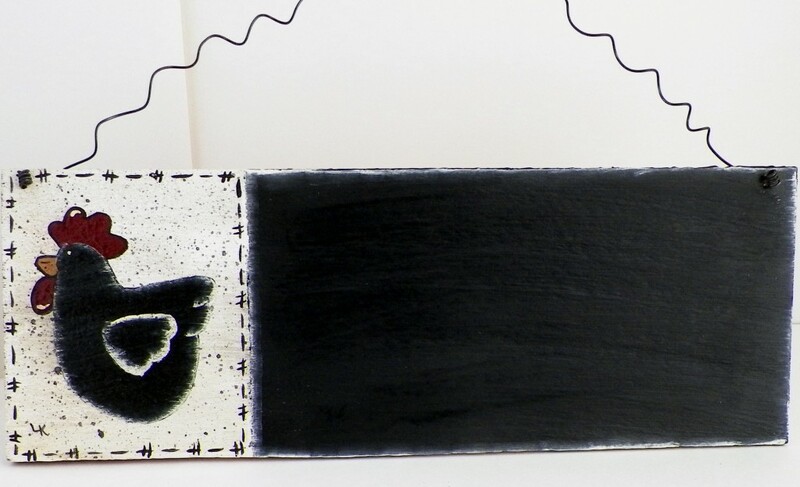 Chalk board is made on an old cedar shingle. 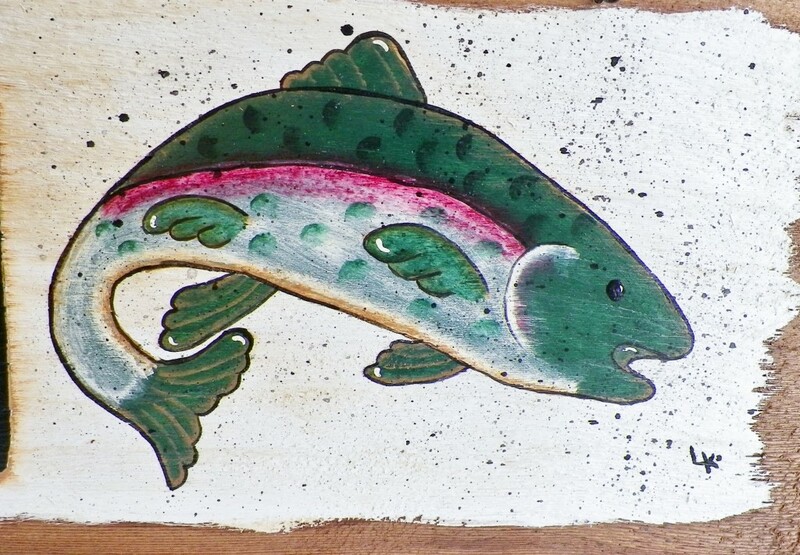 The fish was hand-painted by me. I painted the chalk board on the side for leaving short little notes. 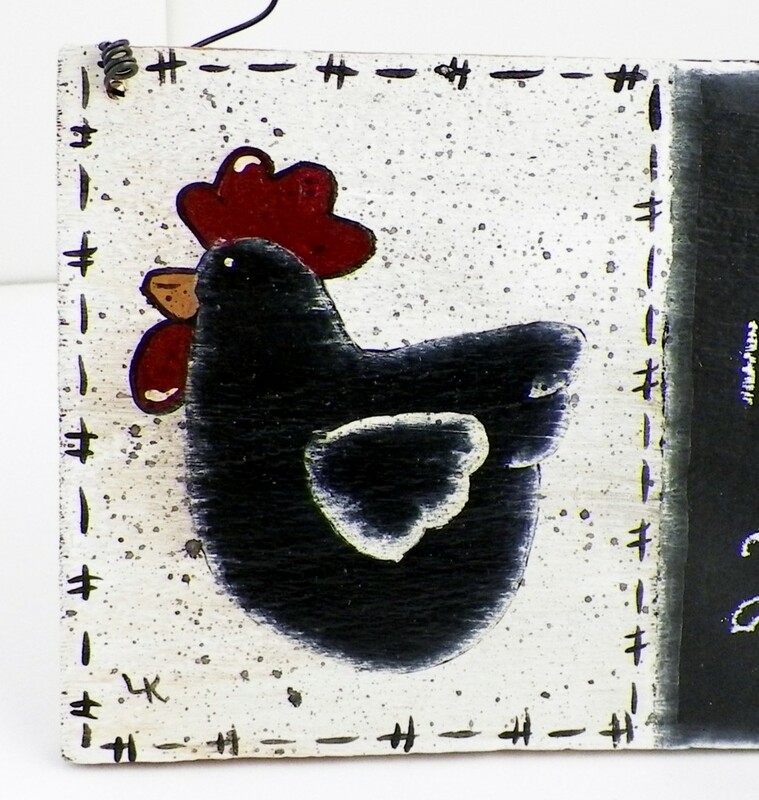 This handcrafed country chicken chalk board was painted on an old cedar shingle. The chicken is painted to one side and the rest is a chalk board. Would make a cute gift for a cook to hang in the kitchen.